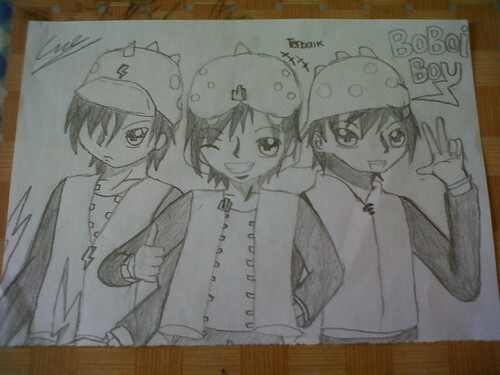 BoBoiBoy peminat art sejak me. Yeah, now it's all done. I can't say anything but I'm so happy now. (^¬^). HD Wallpaper and background images in the Boboiboy club tagged: fan art boboiboy time 3 power.